An electric power supply has three main stages that include generation, transmission, and distribution. Every stage has its own unique production processes, activities, and hazards. In most cases, electrical power is generated from 13,200 to 24,000 volts. There are several hazards in the electrical power generation process and some of them include burns and explosions resulting from equipment failure. Sometimes accidents in power plants can occur when proper lockout procedures aren’t followed. After the generation of power, it is transported using transmission lines. These lines are constructed between substations that are located at power generation stations and they are either underground or overhead supported by towers. 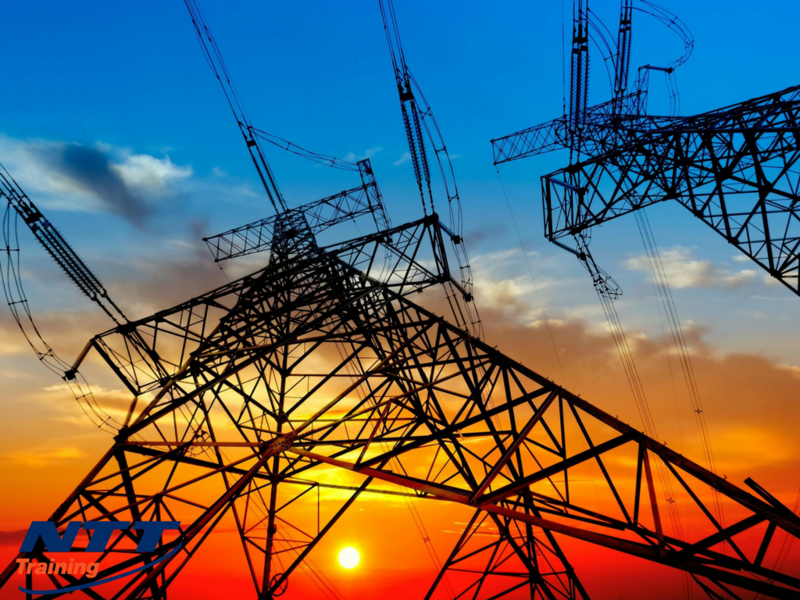 Transmission lines have high voltages and send out large amounts of electricity over considerable distances. After the electricity comes from the generating station, the transmitted voltage is stepped up to a range of 115,000 to 500,000 volts. However, when it gets into a transmission substation, the voltage is reduced to 46,000 to 115,000 volts. One of the main hazards during the transmission of power is electrocution. If your employees don’t use the necessary protective gear or maintain the proper distances, serious injuries and even death can result. Falls can also occur during the maintenance of overhead lines or while working from bucket trucks or poles. The transmission system is connected to customer’s equipment by a distribution system. A distribution substation steps down the electrical voltage to 2,400 volts or 19,200 volts. The distribution transformer reduces the voltage further. Hazards during this process are electrical in nature but there are additional hazards for those working in enclosed spaces such as vaults and manholes when working on underground distribution systems. In the last few decades, the power plant industry has tried to improve employee safety. Some organizations such as OSHA have created requirements and regulations for a safer working environment. Despite power plants now being safer than they were a few years ago, there are still several cases of plant employee injuries and deaths. It’s up to employers to create and implement policies and programs that will eliminate potential accidents. “Be Prepared” is a great Disney song, but it certainly applies to power plant employees when it comes to safety. Detailed pre-job planning, comprehensive training and important well-maintained safety equipment are important in preventing accidents regardless of the hazards. Some of the common hazards that power plant employees face include burns, electrical shocks, explosions, boiler fires, flashes, direct contact with hazardous chemicals and thermal burns. According to OSHA, it is the obligation of employers to create an appropriate hazard control and prevention methodology that is designed to prevent workplace illnesses and injuries. As an employer, you are required to implement safe working practices by providing workers with the necessary training. With this training, your workers will know the necessary requirements for a safer working environment. Worker’s compensation is one of the major expenses that power-generating businesses have and there is no return on investment after you incur this cost. Most insurance firms decide what you will be charged depending on your EMR (experience modification rate). The lower your EMR, the lower the premiums you pay. However, the only way to lower your EMR is by building a history of low or zero recordable accidents. Keep in mind that at any given time you will be evaluated based on the outcomes of the last three years. This means that in case you had a bad year, then it will take you three more years of implementing successful safety programs and policies to nullify the effects of serious injuries. In cases of litigation, the more safety training programs and proper documentation you have the safer you are. Documents that can help you prove that an employee was well-equipped with safety measures when conducting a specific task can be invaluable. Such documents can help defend you against a lawsuit from any injured employee or surviving relatives for the negligence of providing a safe and healthy working environment for your employees. This means that investing in employee safety training on power generation, distribution and transmission processes can help you decrease insurance premiums and also reduce the chances of getting sued for accidental injuries. Power plants are now safer than they were a couple of decades ago; however, there are still several hazards that plant employees face. Proper plant operation, maintenance procedures, and training are important in the reduction of accidents and help mitigate their effects. Do you want to know more about employee safety training regarding generation, transmission, and distribution? Contact NTT Training today for more information.